A source at the Ministry of Foreign Affairs has confirmed that Cosmas Chileshe, former First Secretay For Press and Public Relations at the Zambian Embassy in Washington remains recalled. Last week, speculation ran rife when Chileshe issued a media statement on behalf of the Washington Embassy. “It takes time to bring back recalled Diplomats as funds I’ve to be secured and released for their repatriation. And unless there is an adverse risk we encourage them to work till the last day.” A source said. Chileshe 42, was fired after he abandoned his wife and children for veteran broadcaster, 51year old Maureen Nkandu. 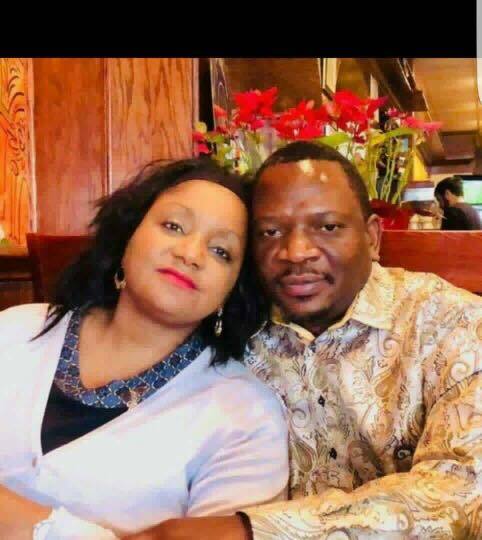 The two paraded their affair on social media while the wife Claudia Musonda and the children were chased from Washington after the messy divorce. But Minister of Foreign Affairs Joe Malanji said that the Ministry would not allow anyone abandoning family values and displaying moral degradation. He said to this effect President Edgar Lungu had authorised the recall of the truant diplomat.